Lindsey Metzger is the founder of Metzger Platinum Insurance (MPI). She was born and raised in Georgia and is a graduate of the University of Georgia. She and her husband are avid CrossFitters and maintain an active lifestyle with their young daughter and two dogs. Lindsey and her family are always looking for ways to give back to their community whether it be through their church or care community. 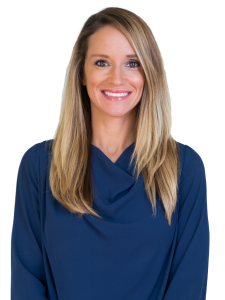 Before becoming an insurance agent, Lindsey was a mortgage originator. In 2011, she became a licensed insurance agent and has been going strong ever since. Lindsey doesn’t view herself as a regular insurance agent. She sees herself and her agency as an education source for individuals and families wanting to protect what’s most valuable to them. Lindsey prides herself on giving her customers the best service possible while making the insurance buying process as seamless as can be. With each new customer, Lindsey aims to deliver the PLATINUM experience!